Time for a railroad image! 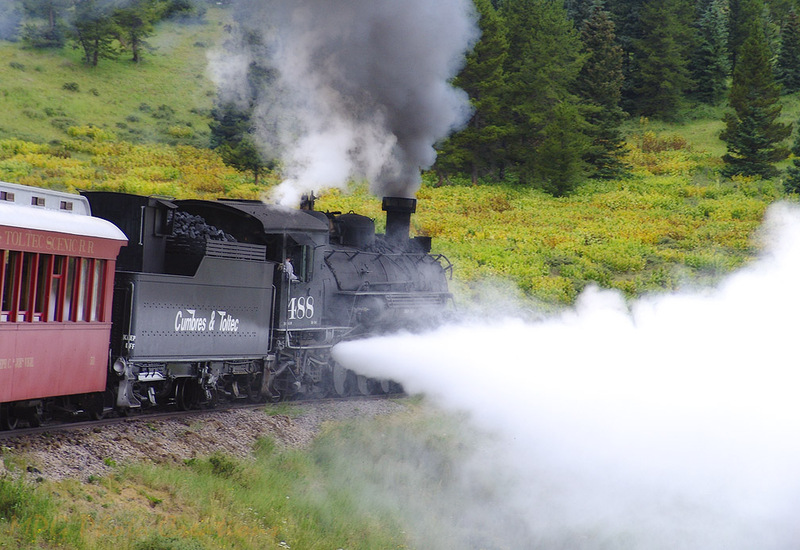 :-) This is the Cumbres & Toltec engine blowing down it's boiler as it rounds a curve on the way to Chama, NM. They do this to locomotives periodically to get the sediment out to keep them cleaner so they don't decay. It makes quite the steamy sight when they do it while you are on a trip.